LEADING Australian real estate agency, Ray White Double Bay, last night took home the top gong at Ray White’s international awards with winning the No 1 Australian office again for the fifth year in a row. Ray White Double Bay – with the dress circle address in Sydney’s eastern suburbs – booked an exceptional year in 2017-18 with more than $930M in residential sales. Director Elliott Placks said he was thrilled with the result. “To be recognised as the number 1 Australian office is a massive achievement which I’m immensely proud of,” Mr Placks said. 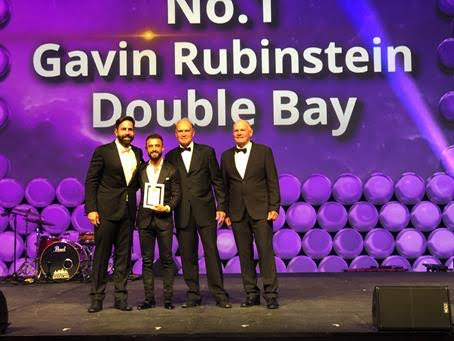 The unstoppable agent Gavin Rubinstein took the honour of number one agent in Australia making it six consecutive years for the national award and second time for the first placed international award. Margie Hawker – Senior Property Manager was placed in the Top 3 of Property Managers Internationally which is an amazing achievement out of 8,000.